Today was the first day of concrete work on the pub fireplace/sign. The worksite is in a bit of a frenzy with dry wallers, carpenters, electricians and other trades all in the same space so we retreated to the new restaurant area and cleared some space for our crew to work. I had worked on Saturday with the welding of the frame work for the lower portions of the trees - as far as I could go before interfering with the drywall crew. 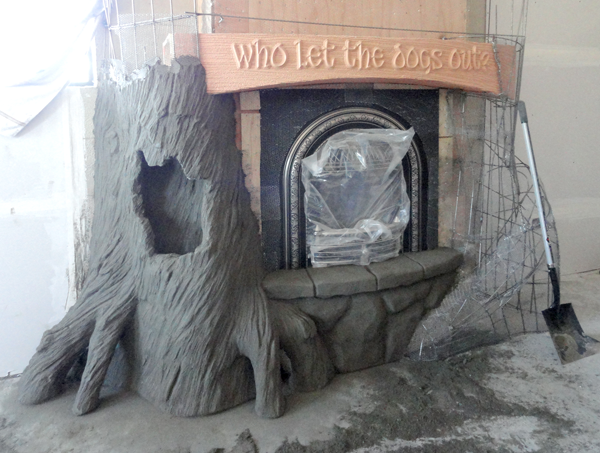 Today we mudded and carved the first section of the fireplace. The mantle was routed from multiple pieces of 30 lb Precision Board, assembled in the shop and then transported and mounted in position. 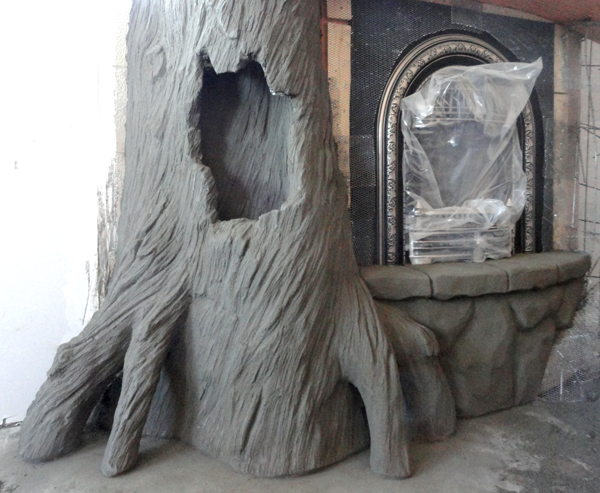 We are sculpting the trees around it and the fireplace. As I worked the tree and roots came together quickly - a couple hours to apply the cement and about the same time to carve it to shape. As I stood back to look it make me laugh out loud... it's one of the coolest signs I have done. I have to sell Janis on the idea of including something similar into our new house!